When you are having computer problems and you need help now but you don’t know where to turn it can be hard. The good news is that there is no need to worry. 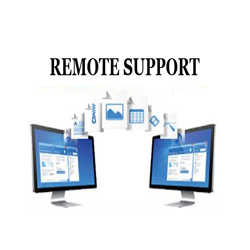 With Computer Central’s remote support help is just a click away. If you are having computer problems and have an internet connection then we can repair it over the internet. After all there are a lot of times where you are having computer problems that you need resolved now. It isn’t like our computers wait for a time that works for us to have problems. So to minimize your down time we offer remote support. This system allows you to invite us to share your computer screen with us. Once we are connected to your computer we can solve many different types of problems. Some of these problems range from software installation problems, printer problems, virus removals, computer tune-ups, and much more. As long as you have an internet connection and the problem isn’t a physical problem with the computer then we can help you over the internet. This efficient way to provide computer assistance allows us to help you in less time which ultimately costs you less money. How Do I Start A Remote Support Session? To give us access to your computer we’ll have you download software that randomly generates a temporary access code that you need to give us. Our technician will be able to remotely control your computer once given this access code. At this time, you will be able to see everything we do on your computer. It’s just like we are sitting right next to you. Upon completion of this service we will go over payment arrangements. Once we have disconnected from your computer everything should be back to normal. If you need help again remotely just call us and we will walk you through it all over again. Each time we connect to your computer that one time access code changes every time. Rather than disconnecting your computer and bringing it somewhere or waiting for a technician to come to you, try our remote support service today. See What Our Wonderful Customers Have To Say About Us! These Are Video Testimonials From Our Real Customers Who Love Our Service. Call Us Today at (352)314-3855 so we can provide you the same wonderful service. Copyright © Computer Central. All Rights Reserved. Theme created by Computer Central.